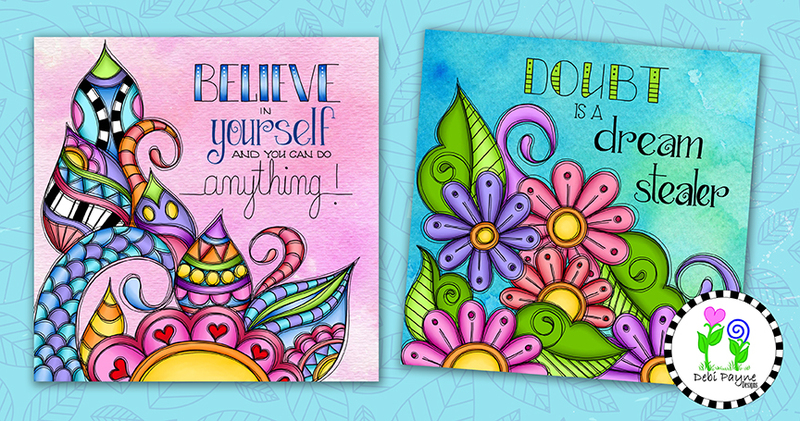 Debi Payne’s journey to creating her colorful and joy-filled art, infused with positive and inspirational messages is a lesson in persistence and dogged determination. Each one of us is following our own artistic paths. The path that is to quote a cliche… “Somewhere over the rainbow, where skies are blue and the dreams that we dare to dream, really do come true”. It so often starts with a dream. To be able to create and be what we know is in our hearts. We are artists. The moment of that realization for Debi happened as a 12 year old girl standing in front of her first oil painting on display in the public library. It was the culmination of six months of private oil painting classes that lit her artistic and creative spark. Debi has had a passion for art throughout her life and that passion is just as strong today as it was when she was that twelve year old girl. There’s only one thing that she wanted to be and that was — an artist. But knowing what you want to be when you “grow up” does not necessarily make the journey to that destination a direct or unswerving path. The private oil painting classes that Debi received as a child was the extent of her formal art education. A few years after high school Debi took some online classes where she was certified in mechanical and architectural drafting. Classes that she believes helped to develop her love of hand lettering. Debi got married and started her family right away. Over the years she spent time working a variety of jobs while primarily raising her two young boys. During those years she was always creating art projects. She loved working with rubber stamps. Then she started to draw her own designs and found a rubber stamp maker who would create them for her. Debi continued to express her creativity however she could while keeping her dream quietly tucked away in her heart. Then in the early 90’s Debi took a position with an architectural firm putting those earlier certifications to work. Unfortunately, this was right at the time when technology and computers were impacting the corporate world and how work was being created. Though she loved drafting by hand she didn’t really like doing it on the computer. So she did not continue on that career path. It would be another ten years and some life transitions — a divorce and her sons graduating and moving out, when Debi refocused her attention on her art. Then, only a year later, Debi met and married her second husband, Tim. A kindred spirit and fellow artist who encouraged all of her artistic aspirations from the very beginning. For years Debi learned to keep her artistic dreams quietly to herself. Hidden from the people who criticized and mocked her “fanciful” artistic thinking. Now she was finally in a “safe zone” of love and encouragement with her new husband. A place that allowed her artistic spirit to start flowering and bloom fully. Even though she had been creating as an artist, now she had the confidence to step into the title completely and to fully express her artist self. Her first artistic successes started with getting her fine art into three different art galleries in Las Vegas, Nevada. But what had always intrigued her was being able to walk into stores and see her art on products. She always loved Mary Engelbreit’s art style. It delighted her to walk into stores and see her whimsical art on a variety of products. 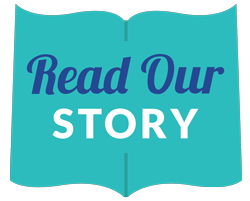 She enjoyed reading about Mary and watching her business grow over the years. She didn’t have a clue about how the art licensing / retail process worked so she started researching to figure it out. Transitioning from fine art to art licensing also had it’s challenges. Including learning the sophisticated software program Adobe Photoshop. But none of it has deterred her. 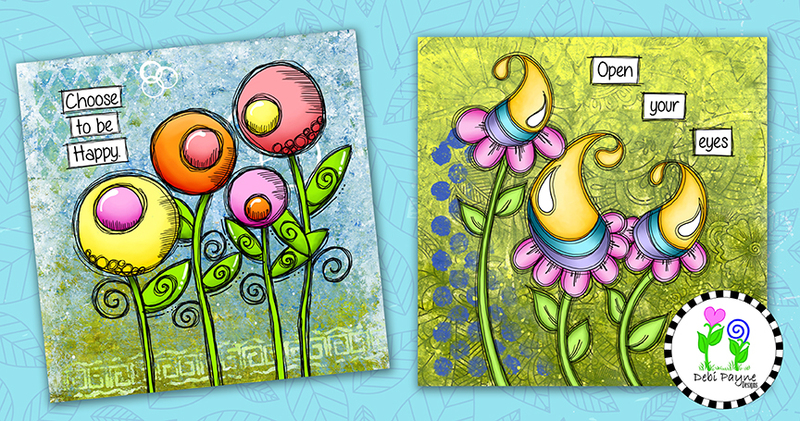 Debi has continued to work on her art style and educate herself in art licensing. At the beginning of the year she joined the Art Licensing Show .com® (ALSC) and like many artists found her “tribe”. There are so many opportunities to connect with artists and develop relationships with Art Directors and Manufacturers directly on the website. Some other exciting news is that Debi has partnered with art licensing agent, Artistic Designs Group to help her obtain licensing deals for her art. It’s working because she has a new fabric collection called — “Take It Up a Level” that is currently in production! And a contract for garden / house flag designs coming out in Lowes in Spring 2018. By now, I’m having a vision of Debi Payne clicking her heels together and saying… “the dreams that you dare to dream — really do come true”. What a stellar year she has had so far with her licensing deals and winning the Art Licensing Show’s 2nd Anniversary Grand Prize! A well-deserved congratulations to you Debi and we can’t wait to see your art on future products. And just maybe, if you dare to dream, they’re in stores right next to Mary Engelbreit! Debi Payne is an artist and designer who creates whimsical art with bright, bold colors and positive, inspirational hand lettered messages. Her work can be found on products ranging from fabrics, garden flags, ceramics and paper products. She has a line of self-published coloring books that she sells on Amazon along with her own artist’s journey book named “Don’t Give Up” with watercolor paintings and inspirational hand lettered messages. Debi’s inspiration comes from her heart’s inner desire to create art that is uniquely her voice and from her at home muse, her husband Tim. Debi and her husband currently make their home in Bryan, Texas though they can often be found traveling around the southwest area. Connect and request access to her complete portfolio on The Art Licensing Show and visit her website www.debipaynedesigns.com. This entry was posted in Artist's Journey, Limelight Licensors on June 27, 2017 by Art Licensing Show . I love, love , love your work Debi! Your art makes me feel happy and your story is inspiring. I am so happy for your success! Congratulations! 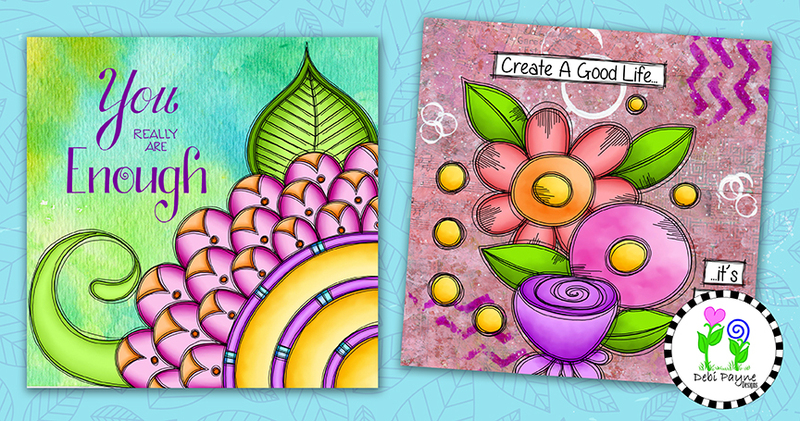 Debi’s art is so joyful and colorful–can’t wait to see what’s next for her! Thanks Ronnie! I can’t wait to see what is next myself!!! Great article! Debi Payne, thank YOU for sharing your delightful & colorful Art!!! Best Wishes . . . Wonderful post! BEAUTIFUL Joyful Art! Congrats on your licensing deals and thanks a bunch for shouting out my “2nd Thursdays” chat group. Thank you and you’re welcome Annie!!! I am looking forward to chatting with you in the upcoming chat!!! There is always some ‘good stuff’ there!